Hulk is simply unstoppable. His fist is his only weapon but he doesn't need another one. Oh wait, he does have two fists. Anyway, you'll only need one of those Hulk's fist keychain to protect your keys. 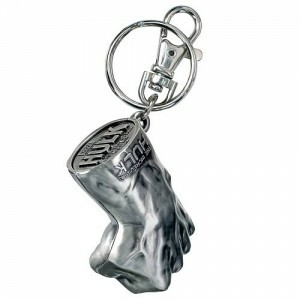 This Hulk keychain is made of metal and 12cm long. Il s'agit d'un produit sous licence officielle The Avengers. Si vous choisissez de recevoir votre "Incredible Hulk fist metal keychain" via Lettre Suivi, les frais de ports seront seulement de 2,95 € ! 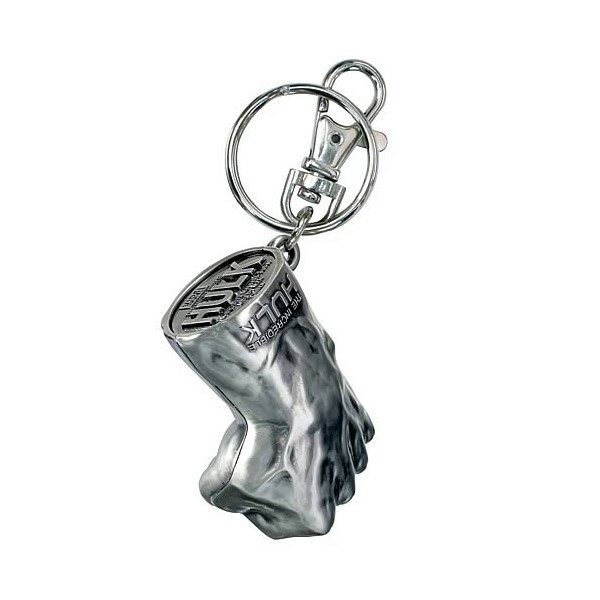 Votre Incredible Hulk fist metal keychain est en stock !